ModBargains has a full line of BC Racing Wheels RS42's available online for custom order! We have fast shipping and delivery times. Please give us a call at 714-582-3330. BC Racing Wheels has a thirst for customer satisfaction, and their RS 42 wheels are sure to leave you smiling with their great looks, durability, strength and lightness. Whether you're looking for a wheel that will turn heads while cruising down the avenue or one that will stand up to the forces of extreme racing situations, the BC Racing Wheels RS 42 is up to the test. All of their wheels are produced with a high tech CNC process called forging. 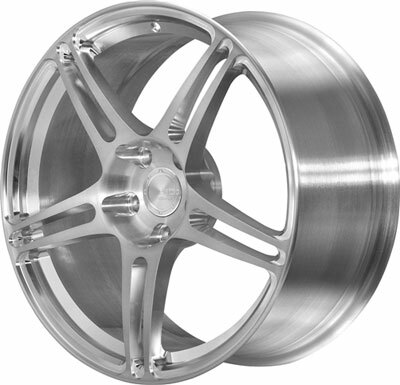 Most other wheels are created by casting or partial forging, but the RS 42 is 100% forged. This means it is one of the lightest and strongest wheels in the industry. And on top of being one of the most performance enhancing wheels on the market, the BC Racing Wheels RS 42 has the best value out there too. Other wheels with comparable strength and lightness can retail at over two times the price! And if you don't believe us, ask the Formula Drift series drivers from BC Racing how their wheels perform and hold up to the punishment they go through every weekend. When it comes to reputation, BC has definitely built a great one because of the trust that all of their racing drivers have in their products. The BC Racing Wheels RS 42 can come in just about any color or finish that your mind can imagine. The limitless customization you can apply to BC's wheels is what gives you car that unique look that distinguishes it from the rest. And with the help of one of our ModBargains product specialists you can order your dream wheel fitment and style in a matter of minutes. So if you're ready to grab a new set of BC Racing Wheels RS 42's, give ModBargains a call at 714-582-3330. Buying your BC Racing Wheels from ModBargains is an excellent decision. Our product experts will ensure that you order the right fitment and wheel for your car and answer any questions that you may have with ease. We also offer the best customer service in the business, and our delivery times for wheels are quick and easy for your convenience and happiness. We offer great prices on BC Racing Wheels. If you're looking to completely deck out your ride with a new look that's light and strong, grab a set of BC Racing Wheels RS 41's at ModBargains!